Art lovers, collectors, and gallery owners converged upon San Diego’s beautiful Balboa Park this November to view extraordinary contemporary art and swoop up one-of-kind treasures from more than 70 exhibiting artists and galleries. Let’s take a look at some of the highlights from this year’s record-breaking show. 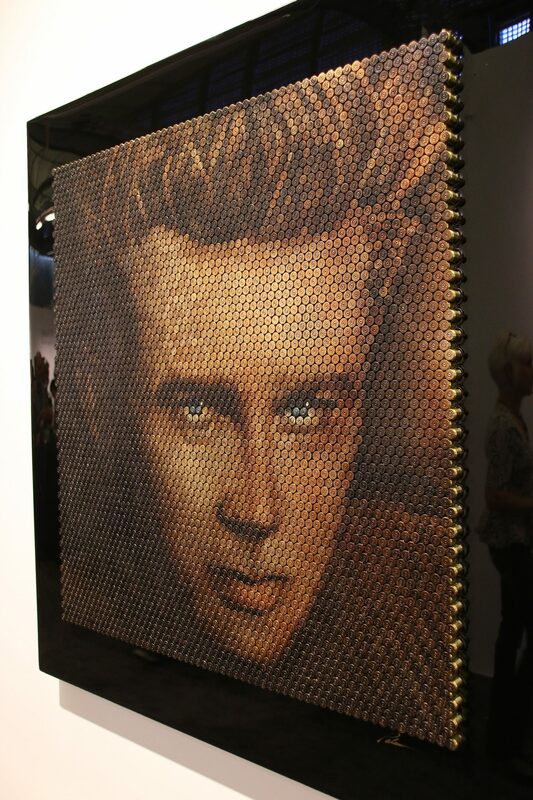 From packed VIP parties to breathtaking installations, Art San Diego featured something for every attendee to enjoy. The show’s curated programming was a hit, including Art Labs like the Timeline Project—an impressive 120′ x 8′ wall titled [META.MORPHOSIS] that depicted a retrospective of past San Diego Art Prize winners—work from specially selected Spotlight Artists, inspiring Art Talks, and much more. A hearty congrats to all of our 2015 award winners! Each of these esteemed recipients went above and beyond to earn top marks in their winning category. 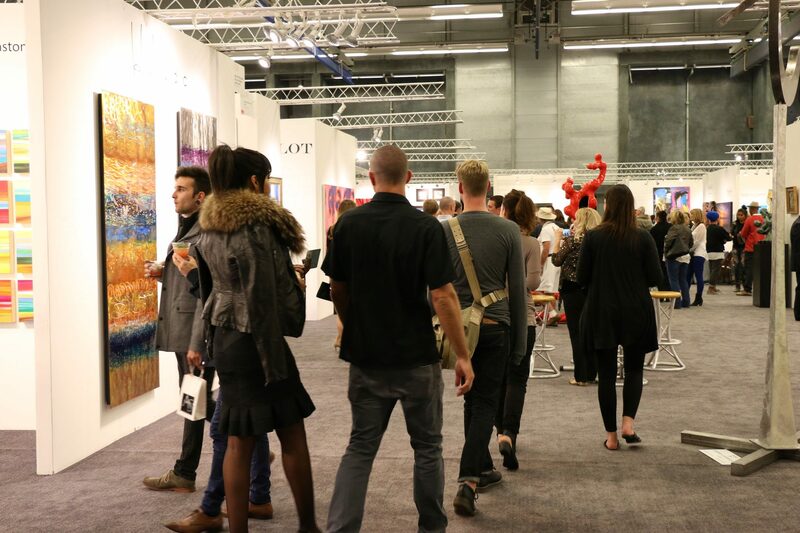 The show was a huge success for our exhibitors, garnering a record-breaking attendance of 18,000, high sales, and a plethora of commissions. Adelman Fine Art (San Diego, CA): Ellen Dieter sold 9 originals. 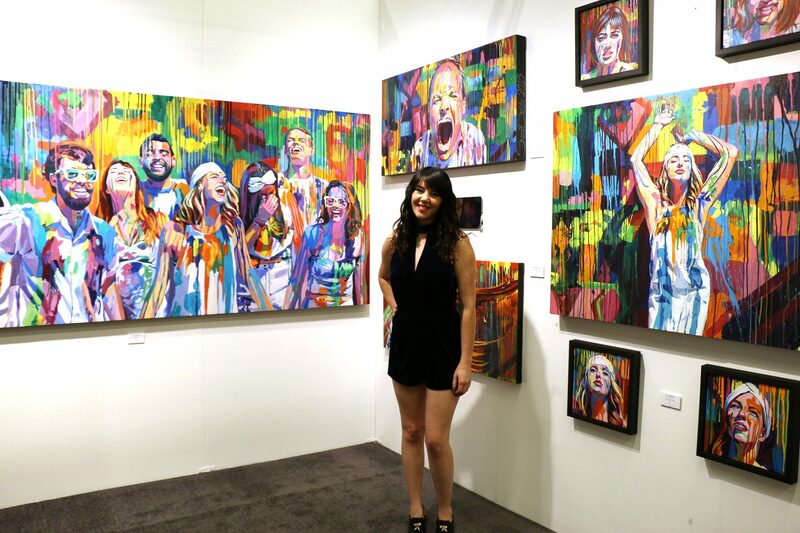 Sarah Stieber sold an original and booked several commissions for portraits based on her Electric Rain Project series. Tesa Michaels semi-precious stone paintings were also sold. AMIC Spectrum Gallery (Osaka, Japan): Sold 15 pieces, including “Flowerlight in Autumn” for $2,500. Angelo T. Robinson: First-time exhibitor sold 10 pieces plus a private commission, with his highest sale being “Decline of Doubt” for $28,500. Anita Lewis Art (Oceanside, CA): Lewis’s sales, totaling $6,000, went exclusively to the New York area. Art Design Consultants (Cincinnati, OH): 11 pieces sold, including 4 of artist Ken Rausch’s Copper Works. Conde Contemporary (Miami, FL): Sold 3 pieces, including “Jahzel” by Darian Rodriguez Mederos and “Exploring Havana” by Noa. James Paterson (Ontario, Canada): Paterson sold 5 of his Prayer Machine sculptures, the highest of which sold at $5,500. Jeanne Dana (Sky Valley, CA): Dana sold 25 pieces and received orders for 10 more. Her highest-priced piece sold went for $2,500. 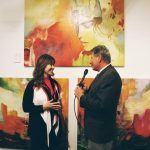 La Jolla Gallery (La Jolla, CA): The importance of a local gallery using Art San Diego to expand its client base really hit home for La Jolla Gallery, who sold 5 originals and established leads and commissions for additional sales. Masterworks Fine Art (Oakland, CA): Representing secondary market artworks, Masterworks sold a Picasso bowl valued at $30,000. 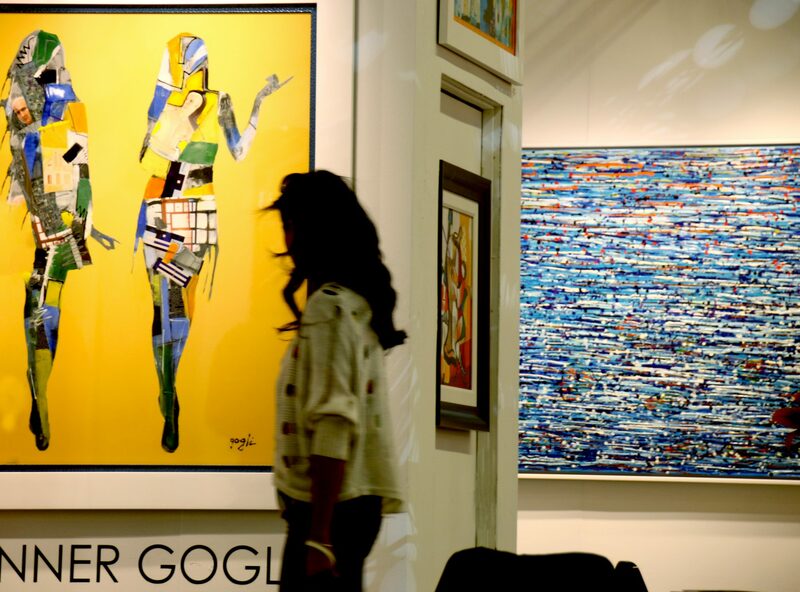 Murloge Gallery: Sold several Yuroz originals, the highest of which sold for $25,000. 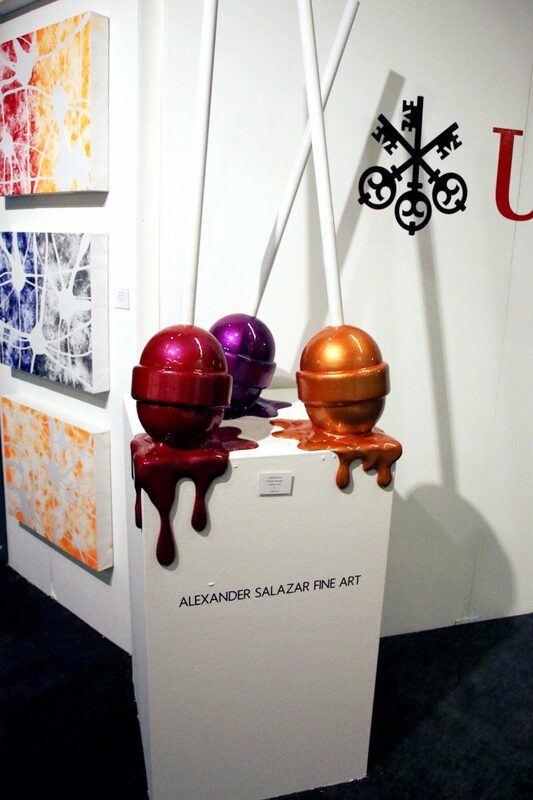 Salazar Fine Art (San Diego, CA): Sold 4 pieces. Spence Gallery (Toronto, Canada): Sold 5 pieces. 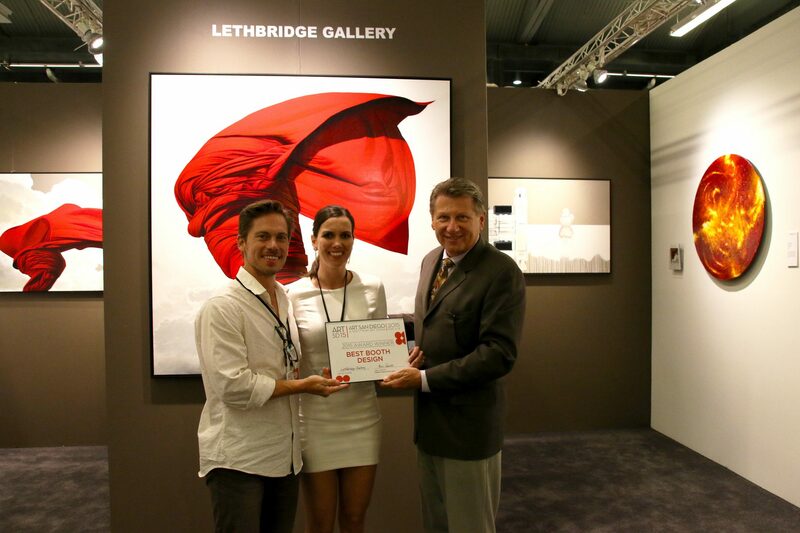 Vermeeren Fine Art (Alberta, Canada): Sold 6 pieces, with the highest going for $16,500. Other exhibitors reporting placements include Colas Engel Fine Art, Brian Goodman, Blue Gallery, NODO Gallery, Forefront Art, Jocelyn Cruz, McNabb Martin Contemporary Art, Momilani Ramstrum, Susan Schmidt, and others. Thanks to all who attended for making the show a great success. We can’t wait to do it again next year! Make sure to follow Art San Diego on Facebook, Twitter, and Instagram for all the latest, and sign up for our newsletter here.